The start of the 5th month of the year, May means the days are getting warmer and more outdoor events such as picnics, BBQs, and brunches with family and friends are coming up our way and finding the right outfit can be little daunting provided we have worn all our best ones for Easter, Spring Break, and earlier hangouts. Putting together the ultimate outfit which suits every occasion, makes us look and feel good amongst our peers and family, allows us to have fun and is not hard on our pockets can be quite challenging. Let's give all of these problems a quick fix by bringing together an outfit from the basics of our spring wardrobes in less than 20 minutes. Swing open your closet doors and dive-in to come up with an outfit that would turn eyes at every occasion. Browsing through the clothes in our wardrobe, one would surely find a pair of palazzo pants lost amongst the piles of floral skirts and dresses, crop tops, and jumpsuits; waiting to be worn. Pick it up and dust it off because apart from being a foolproof choice for all events, it also acts as an air ventilator in the rising temperatures and a massive time saver for all the hair-shaving haters. 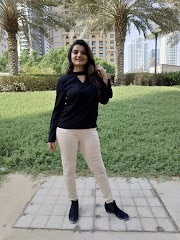 If you are a big fan of these wide legged pants and own a variety make sure to choose the ones with bright colors such as red, pink and yellow or go for funky designs and patterns rather than something dull or formal looking like greys, blacks, and browns. If you don't have the spring-colors / designs inspired pants you can always spice things up in the next steps with appropriate tops, accessories, and hairstyles. 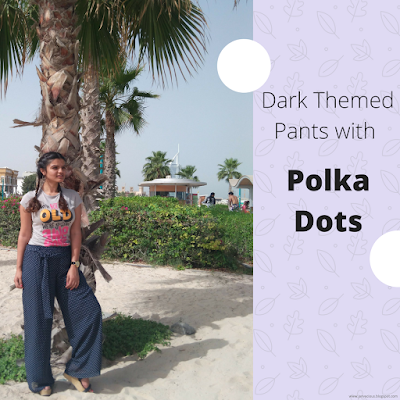 In the picture above, I have gone for dark blue pants with white polka dots all over; here the dark themed tone of the palazzo is covered up by white dots. Some ideas for tops to wear along with these pants include slogan t-shirts, crop tops, floral tops, and poppy colored tops. The correct choice mainly depends upon the kind of occasion being attended. If one is attending a garden party and is going for a feminine, lady-like look go for a floral top with elegant colors like baby-pink and peaches, likewise a slogan t-shirt would prove to be appropriate for hangouts with friends and picnics giving off a casual yet fun vibe. 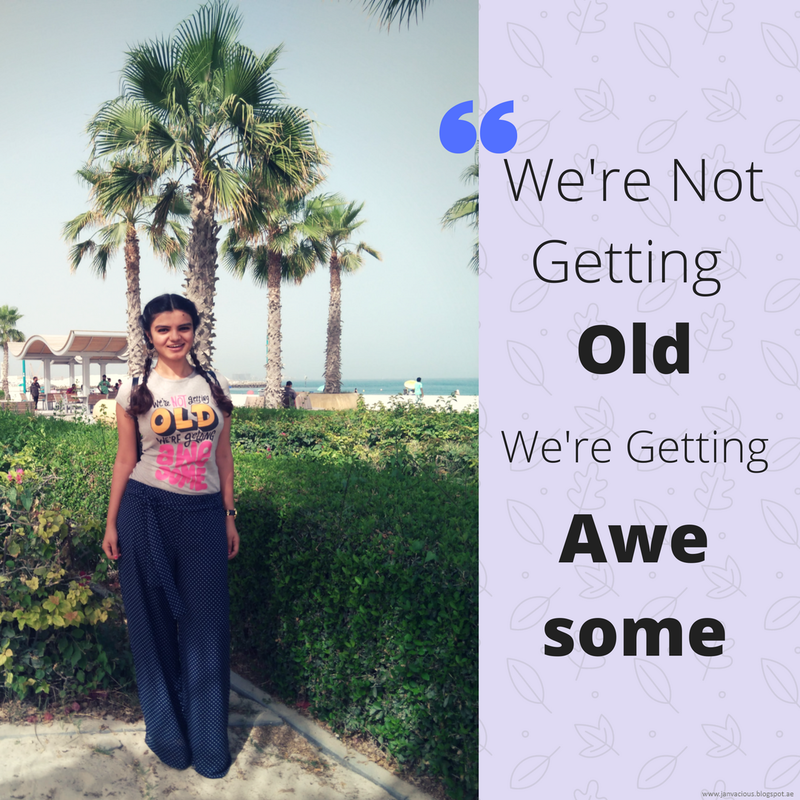 Here, I am wearing a slogan t-shirt reading "We are not getting old, we're getting awesome" which proved to be an apt choice for hanging out with my girlfriends later on that day. The variety of accessories which can be used to define the outfit are infinite some of which include bracelets, floral crowns, rings, watches, bags and many others. However, I would recommend to keep it to the minimal not wearing more than 3-4 at a time for the sake of staying free of all the hassle to handle it all. Once again, choosing the right accessory depends upon the occasion and the mood. If a floral crown proves to work its magic for tea and garden parties, charm bracelets and a simple watch can do wonders for a casual look. 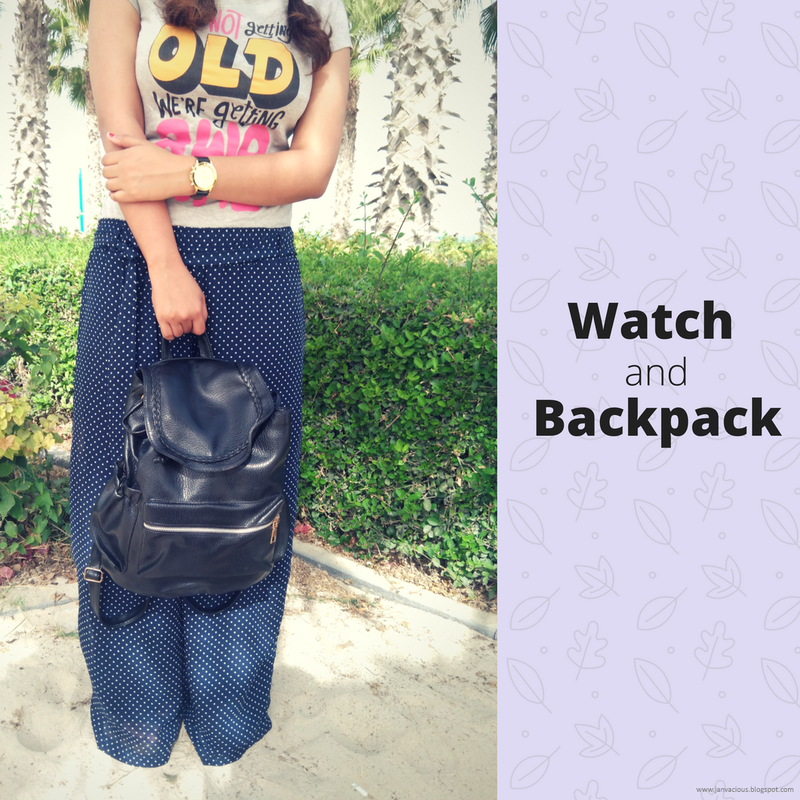 I have opted to wear medium sized hoops with black shreds, a simple Aldo watch with a golden dial and black belt and finishing off with a black bag pack for all my essentials. 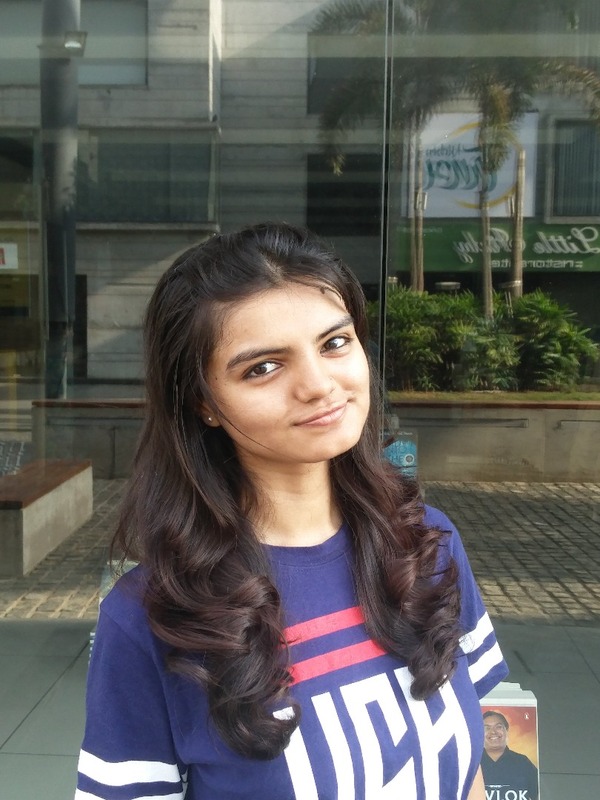 Spring-Summer time calls for all kinds of hair-updos since leaving them all open can only mean sweat and mess. Tying up those locks in either braids, ponytails or buns can do the trick; the key here is to choose a hairstyle which keeps hair off the face and requires the least maintenance. 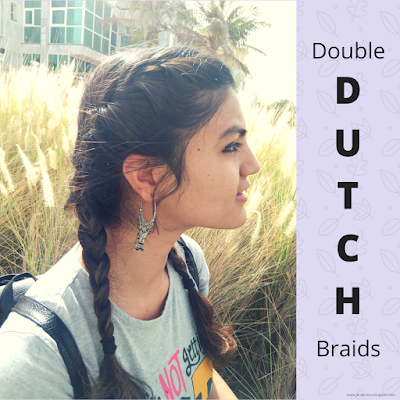 My mom kindly helped me styling my hair into 2 side Dutch braids which kept the hair off my face and helped me spend quality time with my girlfriends without worrying too much about my hair the entire day. Finally, there can be nothing worse than stepping out of the house with the wrong pair of footwear; not matching one's outfit or occasion. While a pair of black heels with palazzo pants can look classy and feminine for night-time events in case of little to no walking around. A pair of sneakers, flip-flops or slide-on is absolute relaxation for feet on holidays and long walks. I have worn a pair of dark blue stripe wedges to go with my pants; giving style and comfort to my feet. 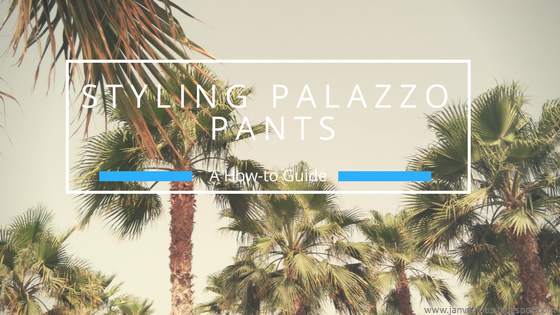 Keeping in mind the 5 steps above one can put together various outfits just with a pair of palazzo pants for all kinds of occasions while not compromising upon their comfort, pockets or style by simply tweaking the accessories, colors, hairstyles or footwear. These are however not the fixed set of guidelines to follow while styling your pants one can always add a personal touch in more ways than one. Comment below your ideas about styling these super comfortable pants so that everyone can look stylishly comfortable this Spring season. 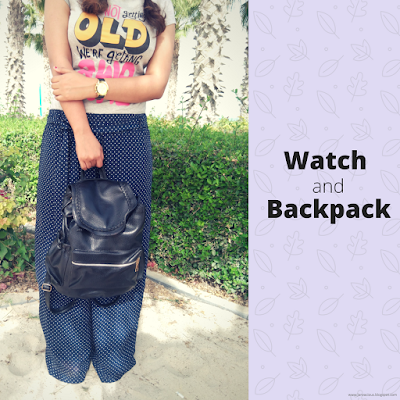 Interested in reading more fashion how-to posts? Check these out!